Opened 17 June 1925. 2003-2008 renovations. 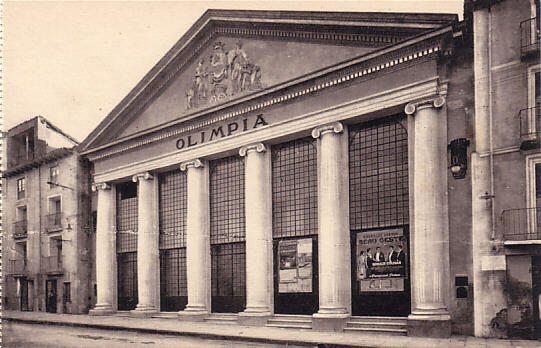 Front Text: inscription: "Olimpia"; text on right poster: "A Herbert Belnon - Beau Geste - Ronald Colman - A Paramount Picture"
Reverse Text: "Huesca - Teatro Olimpia"